Sales is outside the comfort zone for many small business owners. But unless you are able to hire out your sales processes, you are on the hook to sell your products and services so you can grow your business. This is a skill you need to develop as part of your small business owner's toolbox. There are several common sales objections that repeatedly appear in sales situations. 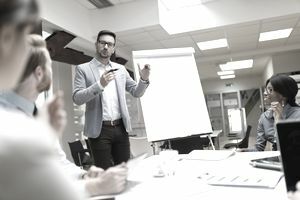 To bolster your selling efforts, even more, use the techniques below to deliver the best rebuttal to the client's objection so you can get one step closer to closing the sale. When you're uncomfortable with selling, you may be tempted to tell a potential client what you think they want to hear in order to make the process less painful. This can be dangerous for many reasons, the biggest being that it almost always sounds disingenuous. And once you reach that point, you have already lost the sale. Instead of telling the client what she wants to hear, focus on being honest and providing all of the information the client needs to make a sound decision. Being honest and direct can make the sales process easier because it removes the "hard sell" and transitions the meeting to a more conversational tone. This also sets the stage for a great client relationship if it progresses. During a sales meeting, the client will almost always drop some clues about what is preventing him or her from making a decision on the spot. Instead of ignoring the client’s concerns, or becoming defensive, acknowledge them. Take some time to put yourself in the client's shoes and truly look at it from the other perspective. Ask yourself questions to identify possible objections, such as: What would I be feeling in this situation? What would my concerns revolve around? What would make me feel more confident? By focusing on understanding the client's perspective, you will be in a better position to recognize her concerns and address them. After you've recognized the client's concerns and tried to understand his viewpoint, take some time to demonstrate what sets your business apart from the competition. Remember the unique selling proposition you created when you first started your business? Start there. Sales isn't always an all or nothing situation. If the client is willing to put a toe into the water, start slow. Break the project down into smaller parts to make the risk more tolerable and to give both parties a chance to build trust and mutual respect. Focus on keeping the lines of communication open, listening to the feedback that the client provides, and following her lead and comfort level. It may be easier for the client to commit on a smaller level, and getting your foot in the door gives you a chance to show your excellence, making future sales a lot easier. While sales objections are rarely great news, they can indicate that the client has an interest in your products and services; objections present an opportunity. By being proactive and attempting to work with the client to overcome his objections, you can create a great foundation for a long-term relationship based on meeting the client's needs.